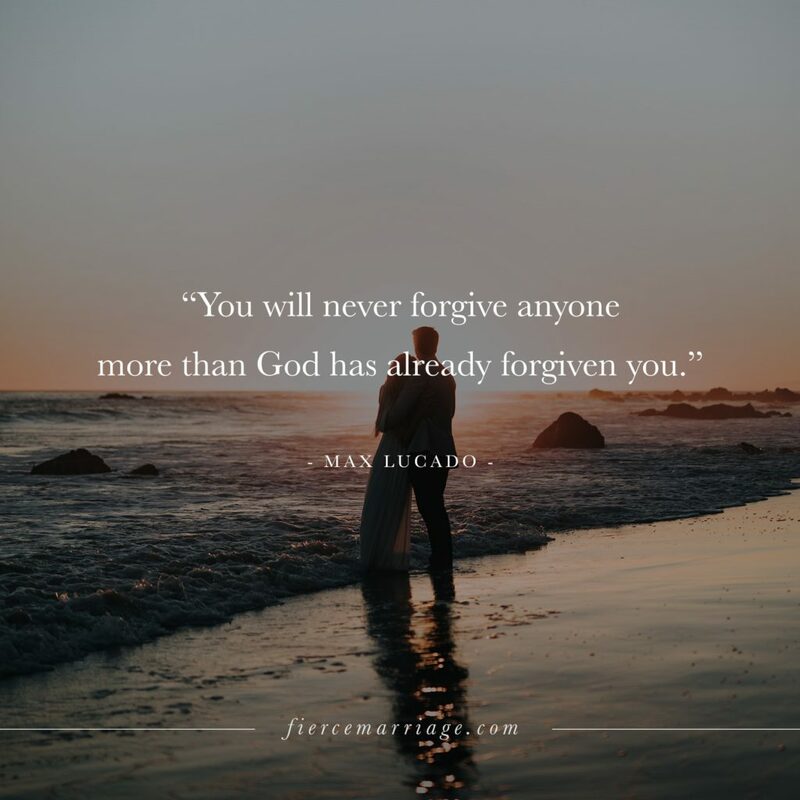 "You will never forgive anyone more than God has already forgiven you." 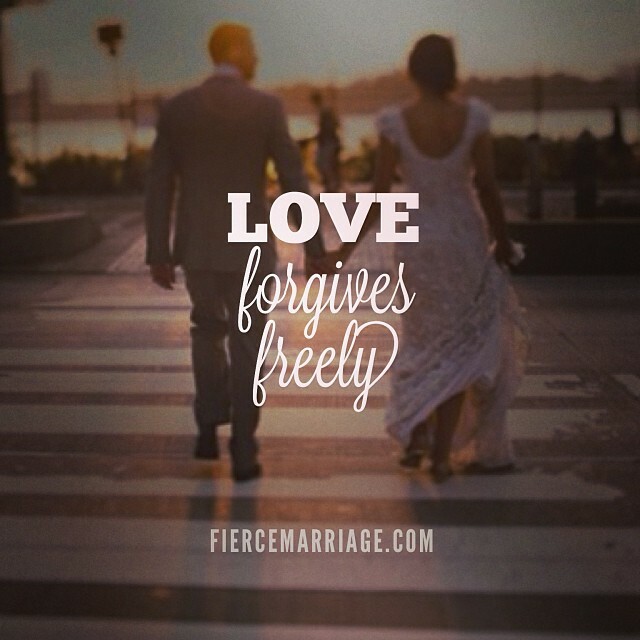 "Forgiveness is unlocking the door to set someone free and realising you were the prisoner!" 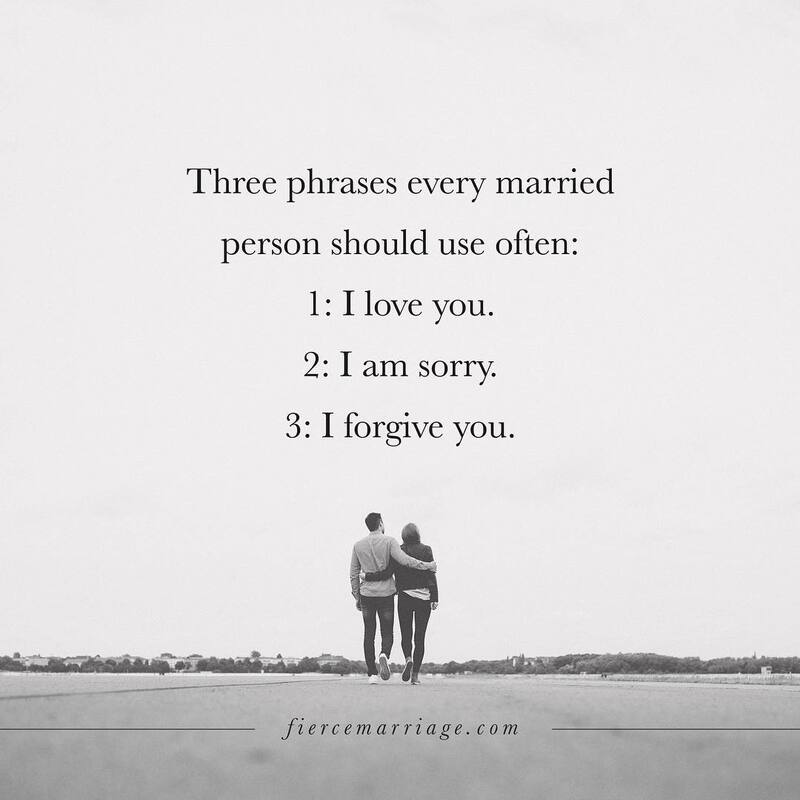 "Three phrases every married person should use often: 1. I love you. 2. I am sorry. 3. 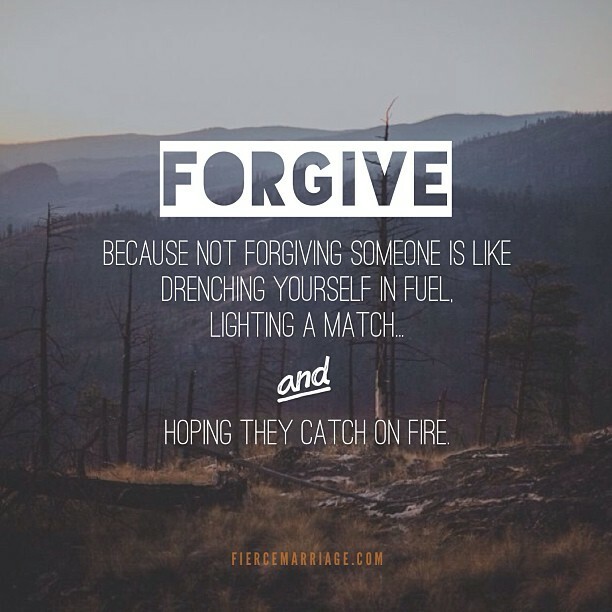 I forgive you." 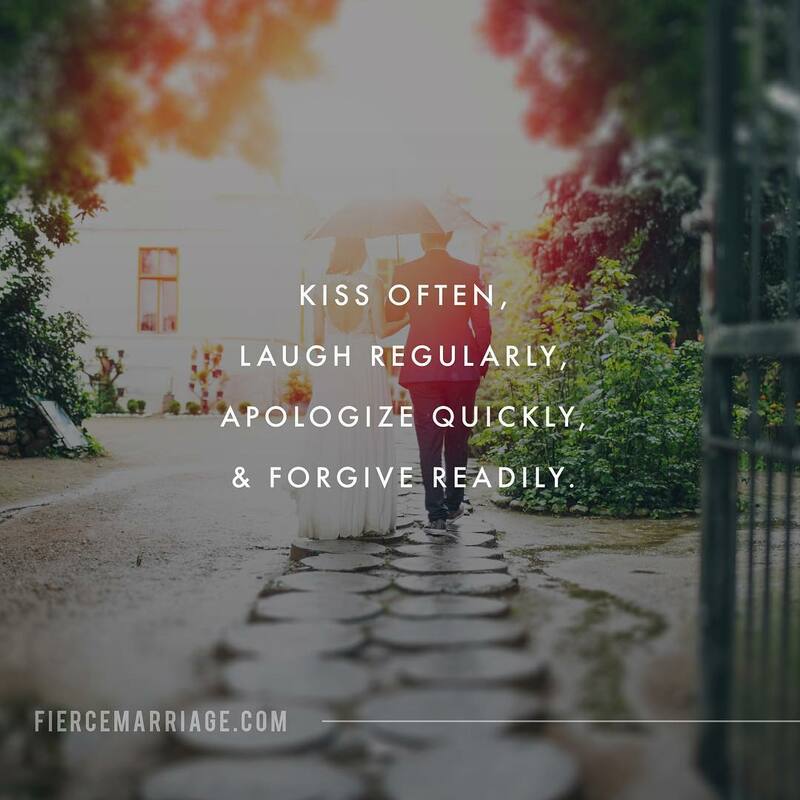 "Kiss often, laugh regularly, apologize quickly, & forgive readily." 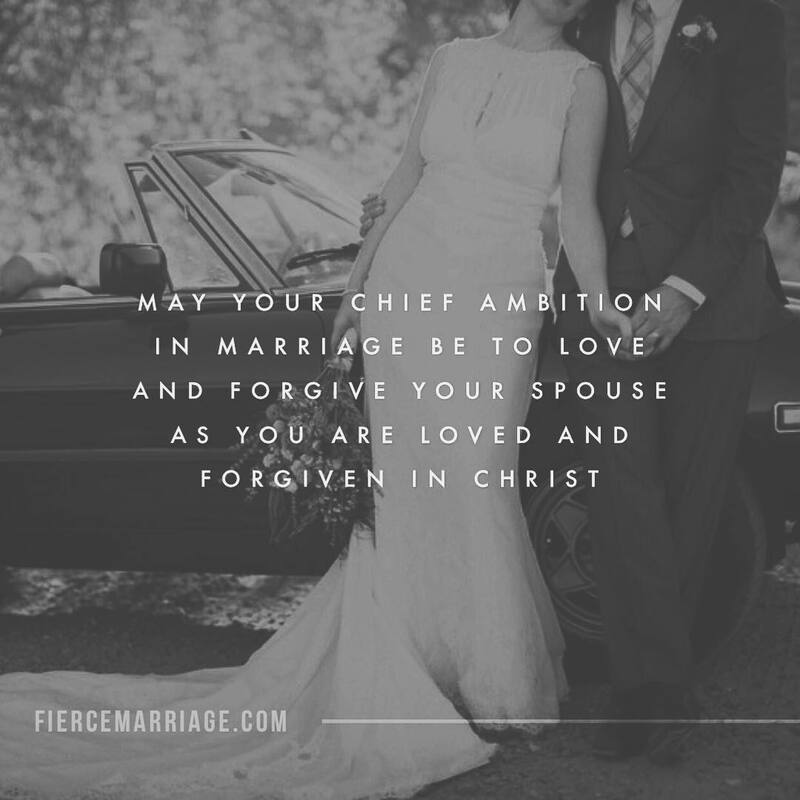 "May your chief ambition in marriage be to love and forgive your spouse as you are loved and forgiven in Christ." "Holding a grudge doesn’t make you strong, it makes you bitter. 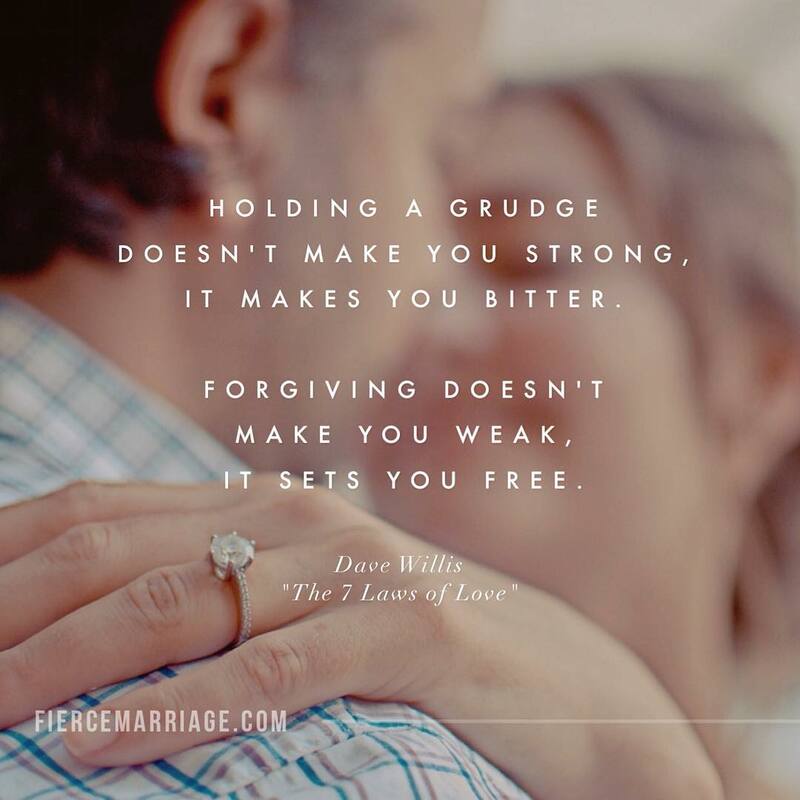 Forgiving doesn’t make you weak, it sets you free." 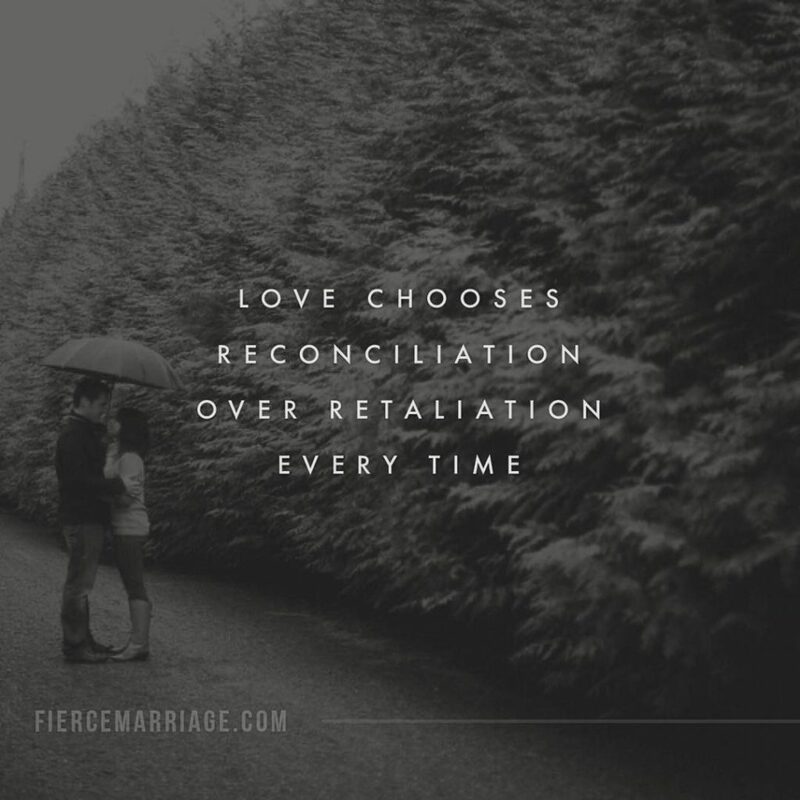 "Love chooses reconciliation over retaliation every time." 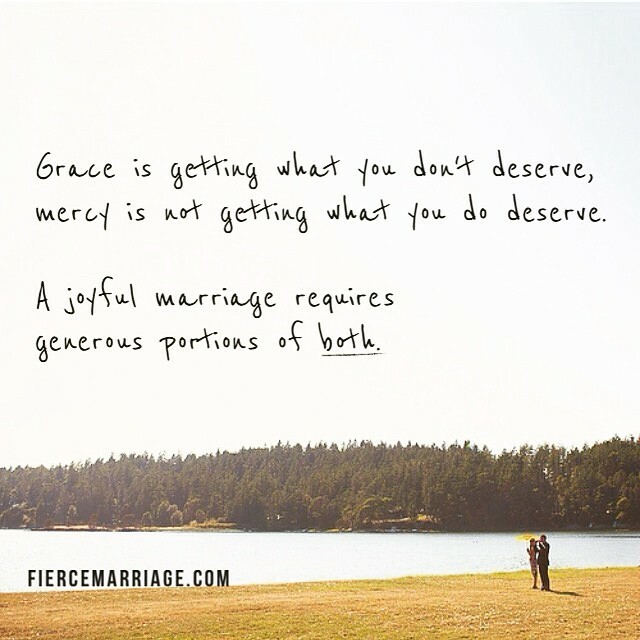 "Grace is getting what you don’t deserve, mercy is not getting what you do deserve. 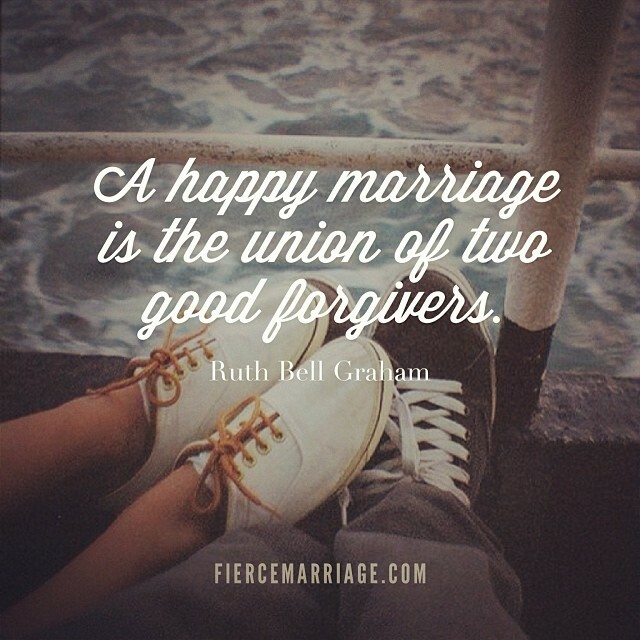 A joyful marriage requires a generous portion of both." 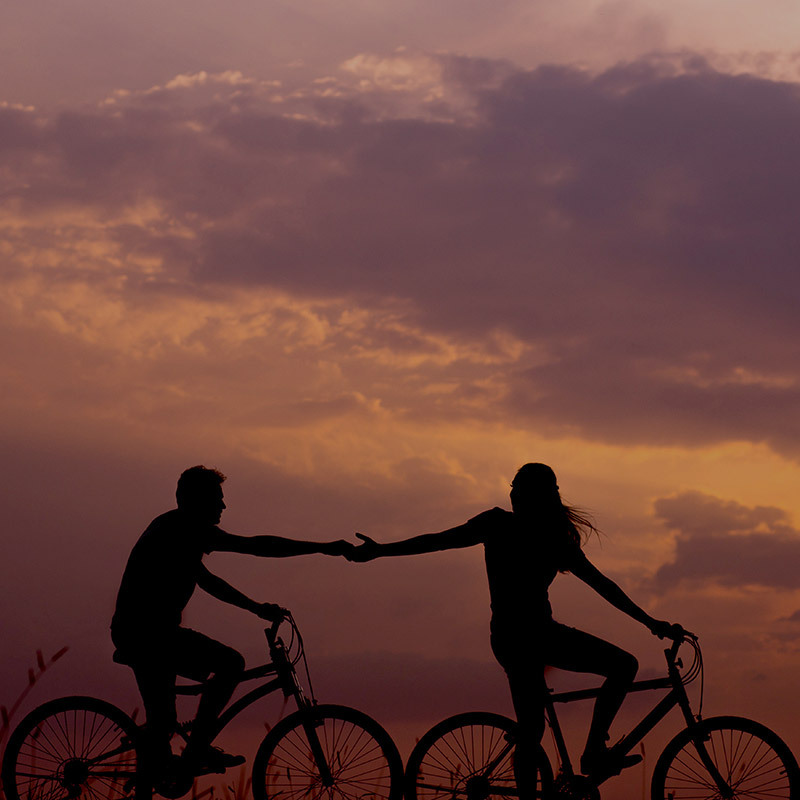 "Refrain from throwing past hurts in your spouse’s face during an argument. 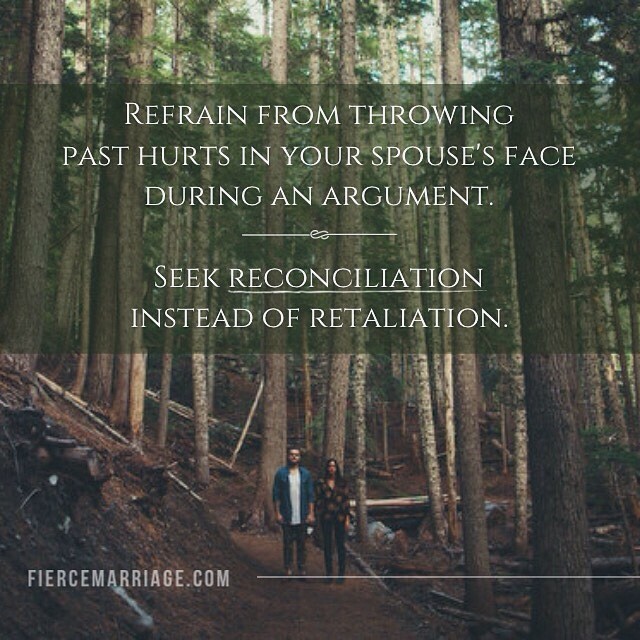 Seek reconciliation instead of retaliation." 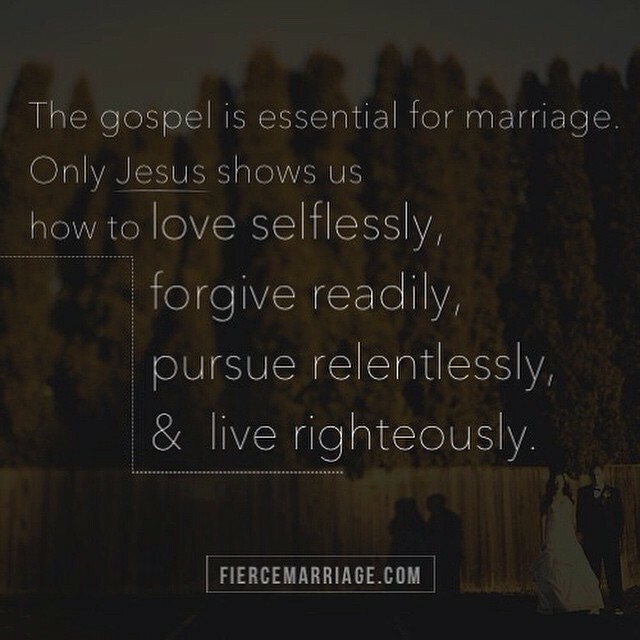 "The Gospel is essential for marriage. 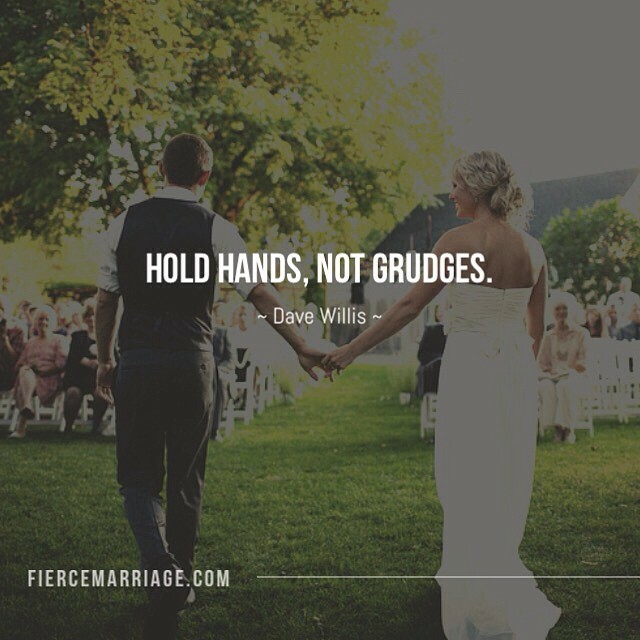 Only Jesus shows us how to love selflessly, forgive readily, pursue relentlessly, and live righteously." 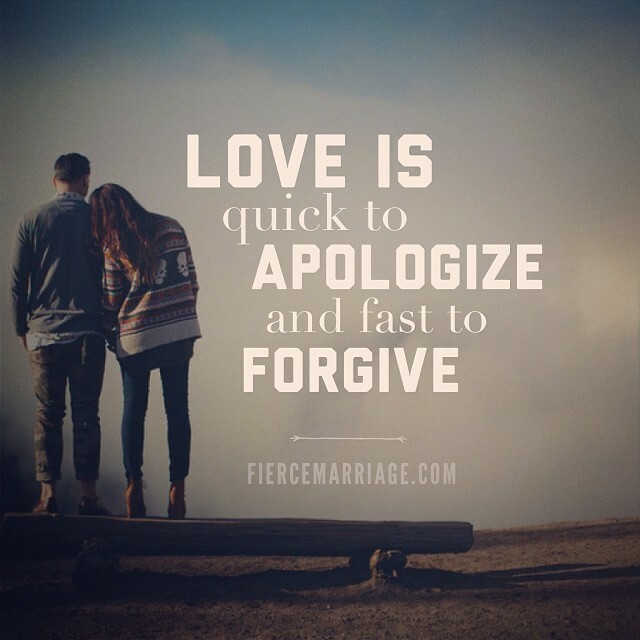 "Love is quick to apologize and fast to forgive"
"Forgive; because not forgiving someone is like drenching yourself in fuel, lighting a match, and hoping they catch on fire."